Some critics have said that they shouldn't have let Paris speak..and I have to say to those critics, how dare you?.. She is an 11 year old child who just lost her daddy who was her entire world in the blink of an eye and I think it was "VERY" appropriate for her to speak and say what she feels. I was a 9 year old little girl who's daddy was her whole world and lost him the same way Paris did. In the blink of an eye. Here one minute gone the next. At 39 I understand that little girls pain and fear and I am glad for herself she took the mic and spoke.. It was something she felt she needed to do and nothing that entire day got anymore real than that. I felt a little silly in a way for crying as much as I did yesterday. It pretty much began around 12 pm as I was on my way home from food shopping and Michaels music came on the radio and I don't think I stopped until almost midnight. By midnight I had a pounding headache was just emotionally spent. I then found today from talking to people, there are many others out there who are feeling the same way I am.. Simply put,....heartbroken. Even today as I hear his music the tears still come.. People who don't understand ask why. Well, to us fans who loved him, Michael wasn't just another singer. Aside from being the best entertainer we have ever known, anyone who is in their 30s and 40's grew up with Michael. We loved him from the beginning. Michael to us was magic.. We were there with him when his solo career exploded on the scene. When Michael was on stage or in a video, he didn't just perform he made magic. He was a magic man to us...He was also part of our childhoods that has now passed away with him.. 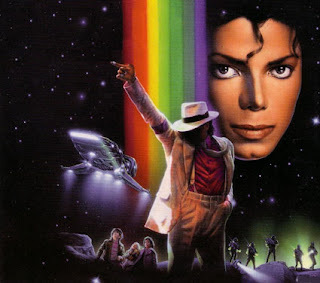 When I was a teen, I didn't know any other kid, including myself, who did not have the red leather jacket, the zippered pants, the hat, "the glove", every inch of wall space in our bedrooms were plastered with Michael posters,every album,all the magazines, and none of us ever missed a chance to see him on TV or be there at the world premier on MTV of one of his new videos and we ALL remember the night he did the moon walk for the first time on TV for the world. It was complete magic. Michael was magic and now that magic for all of us is now gone.. Because we all "grew" with Michael and his music his fans actually loved him in a real way.. and these are the reasons that myself and millions of other fans are still so very devastated by his passing that it somehow just doesn't seem real and the world seems a bit colder now.